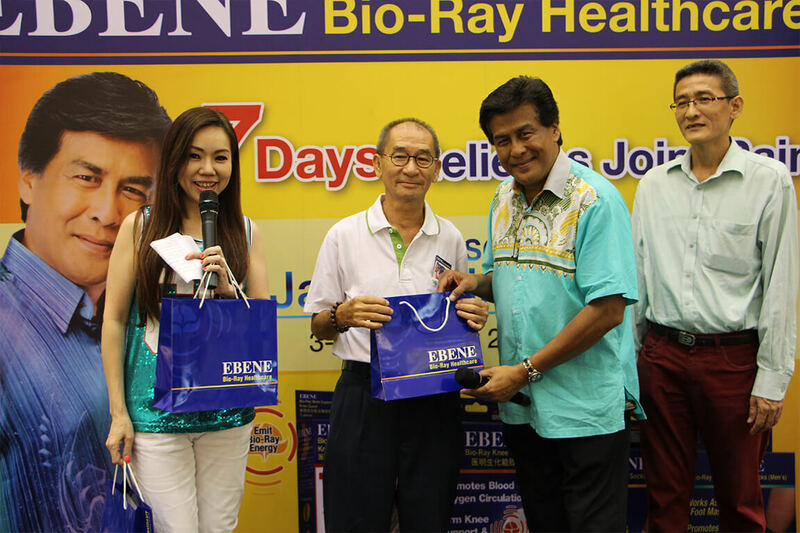 Our brand ambassador, Dato’ Jalaluddin paid a visit to the Aeon Bukit Tinggi and Aeon Cheras Selatan shopping centres. 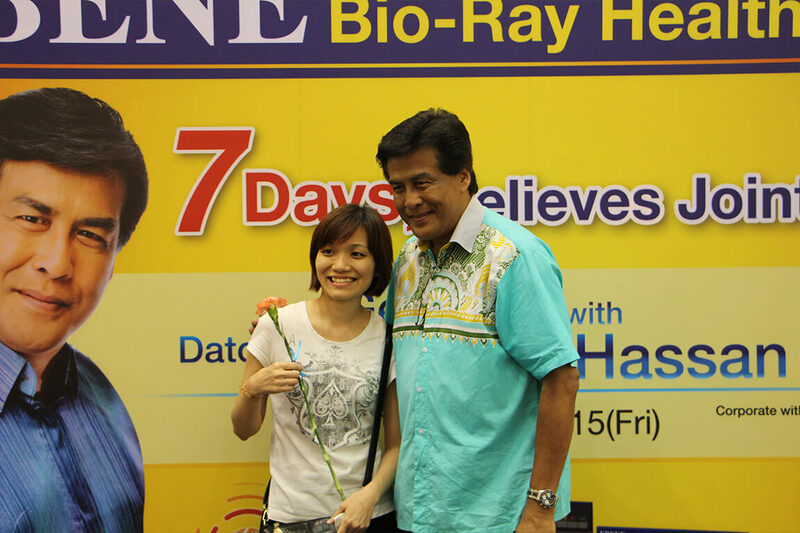 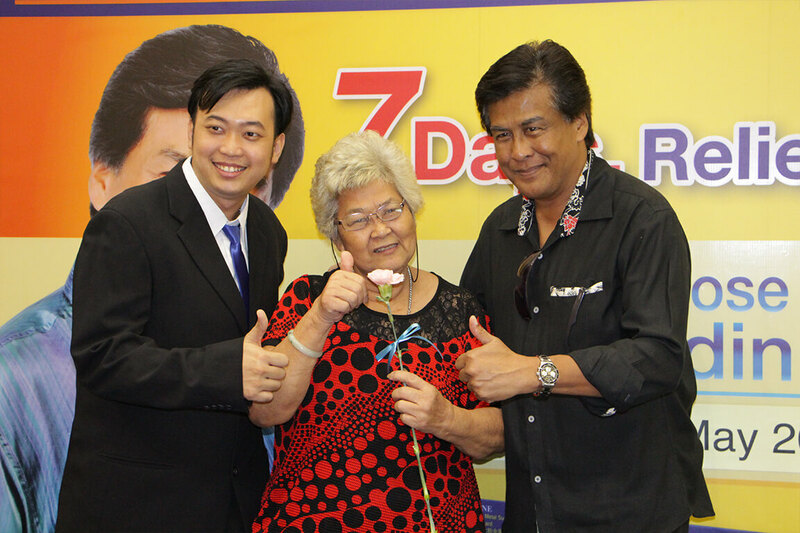 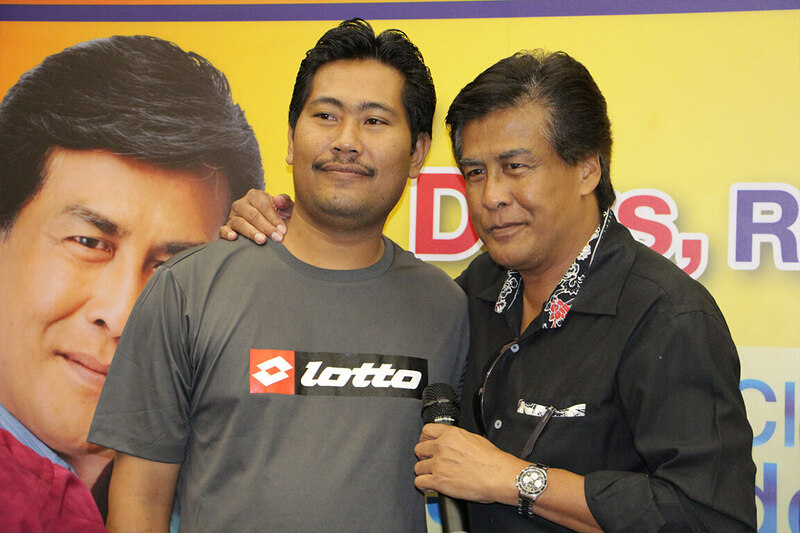 The established and award-winning Malaysian actor shared stories on his personal experience with knee pain. 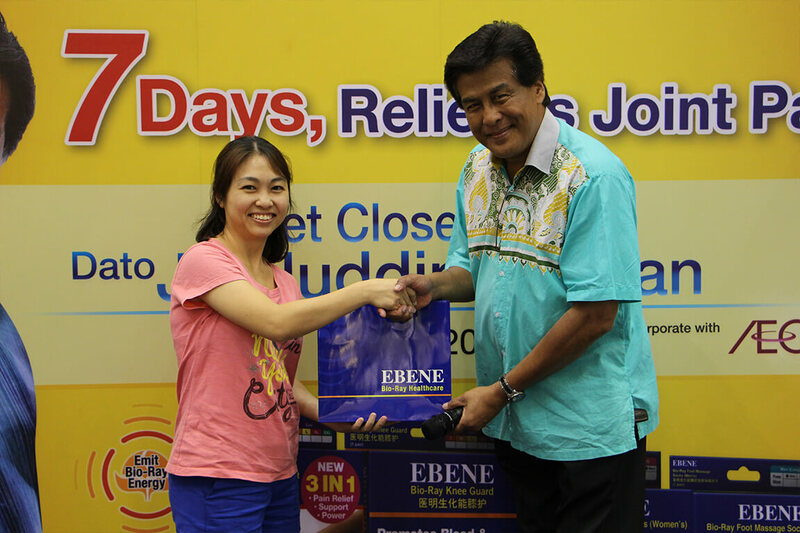 He also hosted a demonstration of the recovery effects gained from Ebene products onstage. 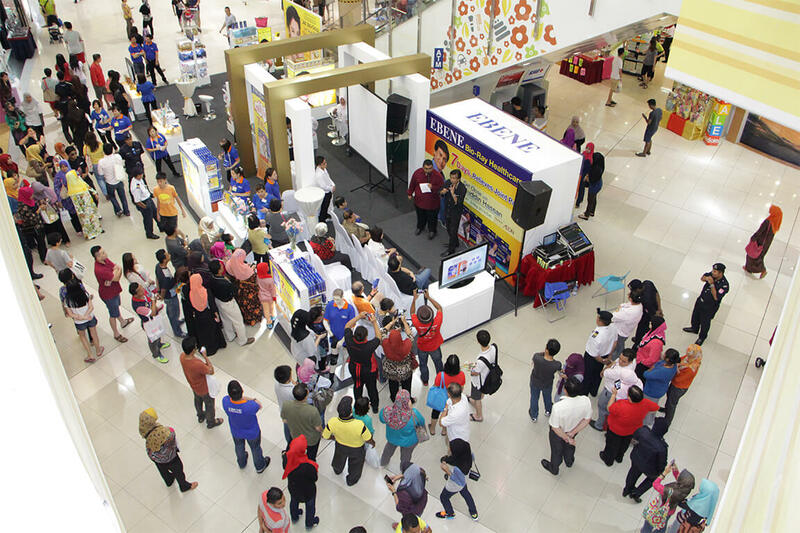 Joint exercise workshops were conducted and prizes were handed to participants.